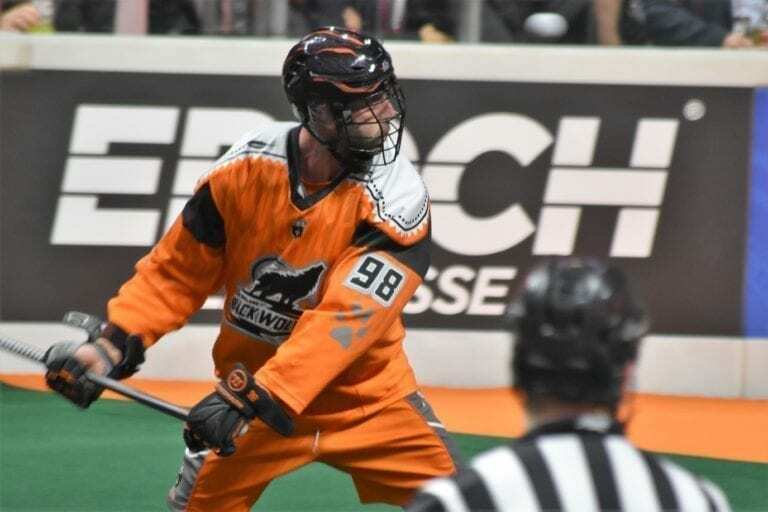 When the Toronto Rock were visiting the New England Black Wolves a few weeks ago, the battle for Eastern Division supremacy was about as fierce as you could imagine. 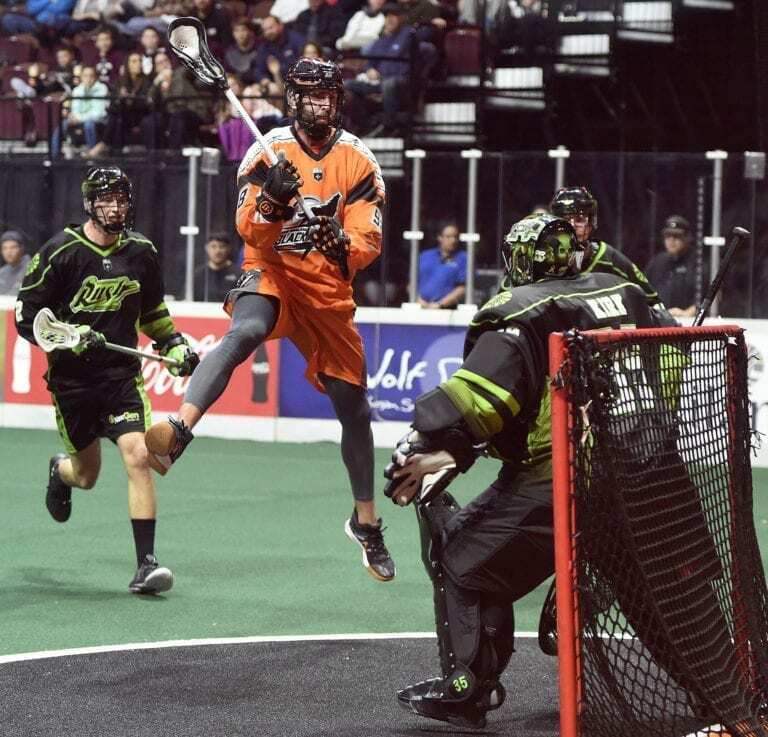 As one Black Wolves player mentioned after the game, most of the team is from the Toronto area, so getting a win over the Rock carries more weight. But during that game, Black Wolves star and likely MVP candidate Callum Crawford drew a major penalty for a high hit on Bradley Kri. The call was not controversial. When you see the clip, there is no arguing that it was a hit to the head. It was also the type of hit where the refs swarmed Callum Crawford and other players immediately to avoid any sort of fight from developing. And it would have developed. But the controversy that has ensued had nothing to do with that initial penalty or the subsequent suspension. It has to do with the reduction in the suspension that was announced this past Friday. There are really two plays that need to be considered for this. The first is from early in the season on January 12, when the Black Wolves were up in Calgary playing the Roughnecks. In that game’s third quarter, Crawford was called for a minor for a high hit. Two minutes for an illegal body check is what was on the books in that game. The play itself seem like it could have warranted much more. The issue is the same thing you see routinely in the NFL with hits to the head. Callum Crawford is just a tall guy. But, like on this play, he has a tendency to jump into hits and leave his feet. Depending on who he’s going against, this could have bad consequences. It did. The second play was what I already mentioned in the intro against the Rock. This hit was assessed much differently. Fourth quarter, 10-minute match penalty for a game misconduct. Callum Crawford had also already notched eight points in that game. But when the game misconduct comes out, that’s a big deal. It also means the league will be taking a look at things. The league reviewed the play and the original call, choosing to side with the original call. On March 1st, the official ruling came out that for the game misconduct, Crawford would sit out a game, as per standard procedure. But then, the repeat offender rule kicks in because of the Calgary game, and they added a five game suspension to the list. 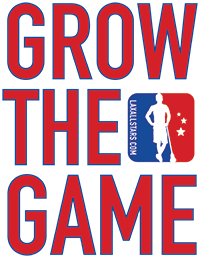 As you likely know, the NLL has a player’s union (the PLPA). This means an appeal process is borderline automatic. With a huge part of their offense definitely missing, the Black Wolves hit the phone lines and retooled their offense a bit. They brought in some righties, so they had new options like Quinn Powless and Joe Resetarits at their disposal to keep their playoff hopes alive while their top offensive cog was out. This is also not the first time the league has run into an issue like this. Oddly enough, Calgary was involved in that, too. Greg Hartnett in the 2017 season had a penalty in a preseason game against Saskatchewan that served as his first offense. In the regular season, a boarding call against the Mammoth triggered the five game suspension, which was served in its entirety. For those watched that second game, that hit really did not feel like a vicious, let alone intentional, hit to warrant a game ejection and subsequent five game suspension. But rules are rules, and it was served. The precedent was set that the league was not going to toy with player safety. Once the PLPA hearing process for Callum Crawford kicked in, it meant the Crawford was able to sneak in another weekend of play, for Week 12. Prior to Week 13’s games, it was announced that Crawford hearing only pertained to the one game suspension for the game misconduct, in which they ruled in favor of the league. So Crawford would sit out that weekend, and have another hearing on the five game suspension. This past Friday’s discipline summary then broke the big news. The hearing on the five game suspension ruled that Callum Crawford would only need to serve one game, not five. This was a pretty shocking development for just about anyone playing attention and raised several questions. I personally asked the Black Wolves if they knew of any plans from the league to issue a statement, which they were not aware of. I did not expect the team to issue anything other than saying Crawford will be available next weekend, which was the case. Later in the day, both the PLPA and the NLL issued statements, but the PLPA’s was more in depth. Ultimately, that does make the decision pretty clear for how they arrived at that decision, although it is not without disagreement from the lacrosse community. When factoring in Callum Crawford’s history and perceived intent, they (the hearing officer and the league) feel he has earned the benefit of the doubt and should receive minor punishment for these two events. Although it is not in any way related and the circumstances are totally different, the result of this all reminds me quite a bit of the Jeff Teat situation during the Minto Cup this past summer. Quick refresher time, for those that don’t remember, or were not aware. Jeff Teat supposedly threatened a ref during the Minto Cup’s first game when he was playing for Brampton. Based on the referee’s call (a match penalty) at the time, Teat should have been suspended three games. In a flurry of activity, some meetings were had between Brampton, the CLA, the referee assignor, and others to arrive at the decision that Teat should play in the next game and have no suspension. A major consideration was Teat’s history and reputation as a generally well-behaved player. As a result, the refs were overruled and the ensuing games had to be run by replacement refs as they felt their authority was no longer respected in the tournament. A major crisis of Canada’s Junior National Championship being canceled after one game was avoided, but it was a major black eye on the sport. The reason I bring this up is I do see parallels to this situation. It’s not a situation where the league does not think the refs made the wrong call. In fact, they still honor his game misconduct suspension and one additional game as a repeat offender. Where they are diverging is scaling back the standard procedure based on a highly visible player’s history. Now, this is where things get sticky. As someone who has been covering the Black Wolves since their move from Philly, I have come to know the coaches and many players pretty well. With regards to Crawford, he has always been fantastic to work with. When I have asked his teammates about him, they have never had anything but good things to say on and off the record. Even Crawford himself is quick to heap praise upon current and former teammates, even unprompted. He comes across as a genuine and authentic person off the floor. So when the NLL cites his history, I know what they mean. Now, on the floor, he is an incredible competitor with a motor that does not stop. It’s the type of play that every coach would want to see from their team. When they are down, he tries to provide the spark. When they are up, he tries to keeps the team focused and maintain the lead. He tries to make whatever play is needed at the time to help his team win. But, that’s not what is at issue here. Whether it’s fair or not, with player safety issues like this I feel it’s important to look at things through the lens of football, which is a sport wrestling with player safety more than any other right now. Where things have gone in football are NCAA players getting ejected automatically for targeting, which can be a highly subjective call at the time if they make avoidable contact with an opposing player’s head. In the NFL, defenders are under more scrutiny than they have ever been for tackling, and while ejections are more nuanced, they still happen. The reason why football is taking an aggressive stance in these situations are that hits to the head are ultimately the responsibility of the player delivering the hit. Even if it’s not intentional, they are expected to be under a level of control to avoid that situation. This applies to Crawford in my mind because while I do not think for even a second that he intended on hitting a player high, he did. He’s a tall player who jumped into both of his offending hits, which turned into high hits as the other player moved. 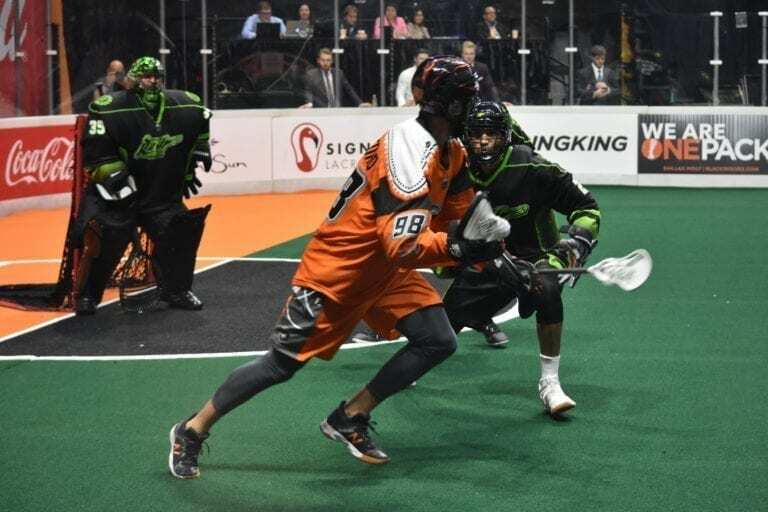 For opposing teams, especially Rock and Roughnecks players, the peeling back of this suspension raises questions for how serious the league is taking player safety. The repeat offender rule is in place to make sure players are taking the proper steps to play in a way that reduces the risk of these hits from ever taking place. By dialing back Crawford’s suspension, there is now ambiguity added for how the league will handle these situations going forward. Hartnett’s suspension was due to a penalty that was highly questionable. I see many parallels to him and Crawford. Crawford’s initial penalty was a single minor, not a double, and not a major. This had to factor into the ultimate ruling. The interesting dynamic introduced here is also offense versus defense. A defender like Hartnett is inherently delivering more hits on a daily basis. If the repeat offender rule is really just intended to restrain the actions of defenders and prevent goons on defense from returning to the league, then it should be more clear. I do not think that is the aim of the rule and the true aim should be to increase player safety as much as possible, especially when it comes to hits to the head. But what actually happened in this situation was more ambiguity was added to an area where there should be less.